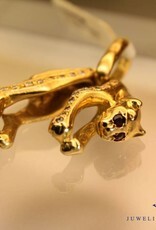 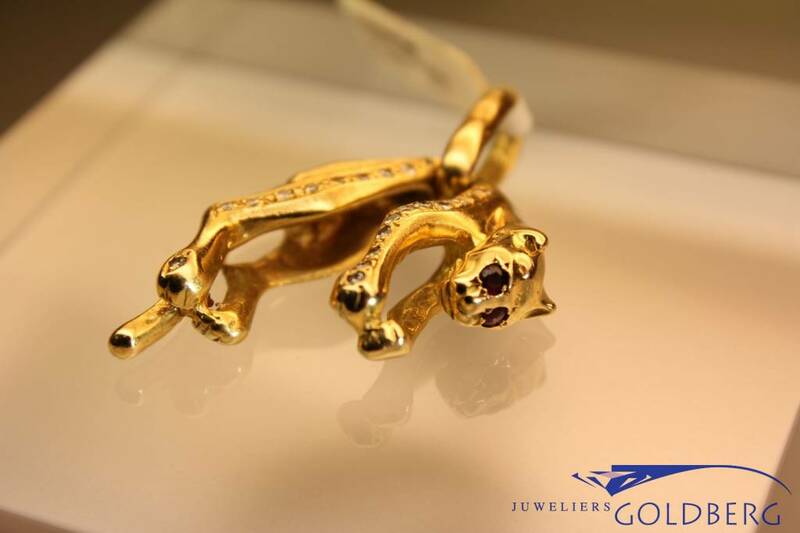 Very beautiful vintage 18 carat gold panther pendant, set with 28 0.01ct brilliant cut diamonds, and has two rubies for eyes. 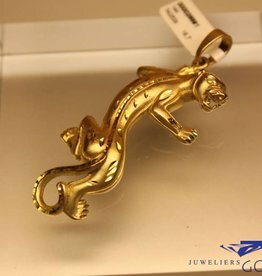 The panther, with its elegant image, is often portrayed in juwelry, often in juwelry from famous brands like Cartier. 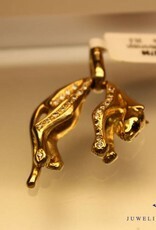 This very solid pendant is about 35mm long and weighs no less than 20 grams. 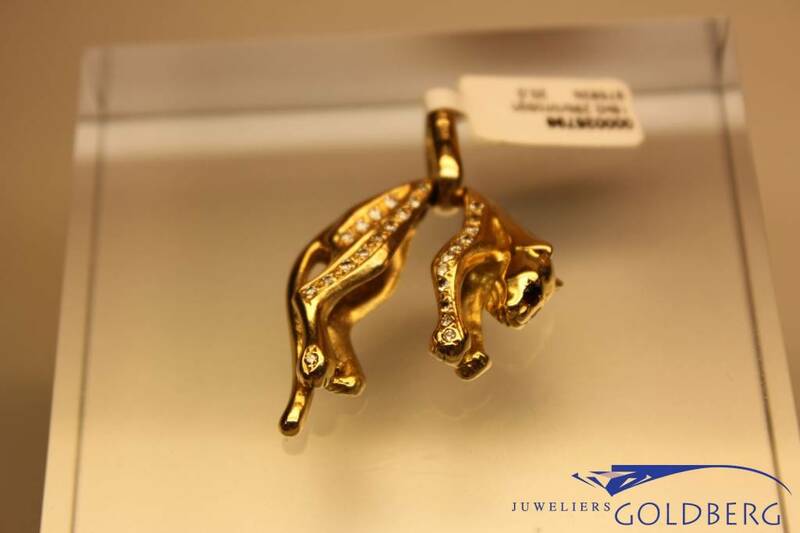 A real eye-catcher.